So you’ve decided that you want to change your energy supplier and want to sign a contract for your energy. What are your first steps? Note: if your electricity site is located in the service area for the city of Medicine Hat, or within a Rural Electrification Association, you cannot sign a retail contract for electricity. Likewise, if your natural gas site is located within a Rural Gas Co-Op or within a municipality that does not permit competition, you cannot sign a contract for natural gas. Remember, a contract is a legally binding agreement, so there is no need to rush into anything. The key to ensuring that you get a deal that is right for you is to be informed. It is helpful to have an idea of what your average monthly consumption is. The average Alberta residential consumer uses approximately 600 kWh of electricity per month, and approximately 120 GJ of natural gas per year. But remember that your consumption changes throughout the year, which may have an impact on what type of energy contract you choose. Next, think about what you want, and what you would like to change from your existing energy supply. Is your energy too expensive? Do you find monthly price variations difficult to manage? Would you rather have “green energy”. The maximum security deposit that can be collected is 30% of your estimated yearly energy bill. When you have made all of the required payments for one year, the deposit must be returned to you within 15 days of the last payment that you made on your contract. Several conditions must be respected if you purchase your energy through the website of a competitive energy retailer. The contract information must be clearly described and easy to find on the retailer's website. You must have received and have been able to read a copy of the contract before signing. 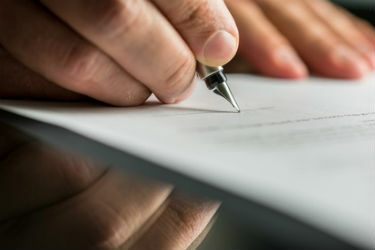 You must have been given the opportunity to correct any errors to the contract, to accept or decline the contract, and you must be able to save and print out a copy of the contract that you sign. All contracts sold over the phone must be digitally recorded and kept for the duration of the contract's validity. The competitive energy retailer must tell you that your call is being recorded and you must give your consent. If you give your consent, the energy retailer must tell you the price of the energy you would purchase under the contract and describe all of the terms and conditions. You will be asked to give your voice consent to the contract presented to you over the phone. Once this telephone contract is finished, the retailer must send you a copy in writing. It typically takes 10-15 days for your energy services to be switched, though this can vary depending on your situation and you should verify with your retailer the exact start date of service. Your electricity will continue to be delivered by your local utility, and delivery and transmission charges will remain on your bill.